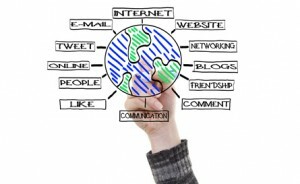 Companies are turning to social business solutions to harness the creativity and knowledge of their collective team. Many employees are working remotely so the ability to have the traditional hallway discussion is not possible. Companies are now fostering open communications by using social software to promote open, interactive discussion in a less structured way to allow for the free-flow of ideas, questions, and business solutions. This approach creates a spontaneous environment that does not get bogged down in lengthy email chains, time lags or isolated discussions. On an ad-hoc basis, experienced partners and important customers can be included in the on-line dialogue. The benefits are improved productivity, greater focus and greater sense of community. Also, products and services tend to go through better market validation which results in quicker time to market with more relevant offerings. MY Social can accomplish all of this and more. In addition, MY Social can be established in an above military-grade secure environment to ensure confidential discussions are kept confidential. Our social business solution can be deployed as a stand alone offering or as an integrated solution with our DMS, Web-Conferencing and/or Security modules. Instant Messaging to improve team efficiency. Content Syndication to consolidate external third-party information sources such as the internet. Private Wikis allowing communal development of a company’s knowledge base and key initiatives.